2016-10-11 15:10:49.909 CST,,,15039,,57fc9076.3abf,1,,2016-10-11 15:10:46 CST,,0,LOG,00000,"ending log output to stderr",,"Future log output will go to log destination ""csvlog"". ",,,,,,"PostmasterMain, postmaster.c:1223",""
2016-10-11 15:10:49.910 CST,,,15042,,57fc9079.3ac2,1,,2016-10-11 15:10:49 CST,,0,LOG,00000,"database system was interrupted; last known up at 2016-10-11 15:03:14 CST",,,,,,,,"StartupXLOG, xlog.c:5934",""
2016-10-11 15:10:49.991 CST,,,15042,,57fc9079.3ac2,2,,2016-10-11 15:10:49 CST,,0,LOG,00000,"database system was not properly shut down; automatic recovery in progress",,,,,,,,"StartupXLOG, xlog.c:6414",""
2016-10-11 15:10:49.992 CST,,,15042,,57fc9079.3ac2,3,,2016-10-11 15:10:49 CST,,0,LOG,00000,"redo starts at 116/9D8E4600",,,,,,,,"StartupXLOG, xlog.c:6669",""
2016-10-11 15:11:21.215 CST,,,15042,,57fc9079.3ac2,4,,2016-10-11 15:10:49 CST,,0,LOG,00000,"invalid magic number 0000 in log segment 0000000100000116000000F8, offset 0",,,,,,,,"ReadRecord, xlog.c:3942",""
2016-10-11 15:11:21.215 CST,,,15042,,57fc9079.3ac2,5,,2016-10-11 15:10:49 CST,,0,LOG,00000,"redo done at 116/F7FFFF88",,,,,,,,"StartupXLOG, xlog.c:6921",""
2016-10-11 15:11:21.215 CST,,,15042,,57fc9079.3ac2,6,,2016-10-11 15:10:49 CST,,0,LOG,00000,"last completed transaction was at log time 2016-10-11 15:04:16.39504+08",,,,,,,,"StartupXLOG, xlog.c:6926",""
2016-10-11 15:11:21.216 CST,,,15042,,57fc9079.3ac2,7,,2016-10-11 15:10:49 CST,,0,LOG,00000,"checkpoint starting: end-of-recovery immediate",,,,,,,,"LogCheckpointStart, xlog.c:7949",""
2016-10-11 15:11:23.223 CST,,,15042,,57fc9079.3ac2,8,,2016-10-11 15:10:49 CST,,0,LOG,00000,"checkpoint complete: wrote 215999 buffers (1.3%); 0 transaction log file(s) added, 1 removed, 0 recycled; write=1.598 s, sync=0.405 s, total=2.006 s; sync files=20, longest=0.207 s, average=0.020 s; distance=1481838 kB, estimate=1481838 kB",,,,,,,,"LogCheckpointEnd, xlog.c:8031",""
2016-10-11 15:11:23.223 CST,,,15042,,57fc9079.3ac2,9,,2016-10-11 15:10:49 CST,,0,LOG,00000,"MultiXact member wraparound protections are now enabled",,,,,,,,"SetOffsetVacuumLimit, multixact.c:2628",""
2016-10-11 15:11:23.405 CST,,,15039,,57fc9076.3abf,2,,2016-10-11 15:10:46 CST,,0,LOG,00000,"database system is ready to accept connections",,,,,,,,"reaper, postmaster.c:2792",""
2016-10-11 15:11:23.405 CST,,,15083,,57fc909b.3aeb,1,,2016-10-11 15:11:23 CST,,0,LOG,00000,"autovacuum launcher started",,,,,,,,"AutoVacLauncherMain, autovacuum.c:416",""
* to keep regular backends from having to write out (and fsync) WAL pages. * most three times the wal_writer_delay cycle time. * can shutdown quickly when requested. * in bgwriter than in walwriter. * finishes. It remains alive until the postmaster commands it to terminate. * Normal termination is by SIGTERM, which instructs the walwriter to exit(0). * simply abort and exit on SIGQUIT. * should be killed by SIGQUIT and then a recovery cycle started. * work to do, reset hibernation counter. * Write & flush xlog, but without specifying exactly where to. * are not being used, we will write complete blocks only. * more than wal_writer_flush_after unflushed blocks. * This routine is invoked periodically by the background walwriter process. * preventing the file from being deleted. * as many of the no-longer-needed WAL buffers for future use as we can. * avoid hibernating too early. 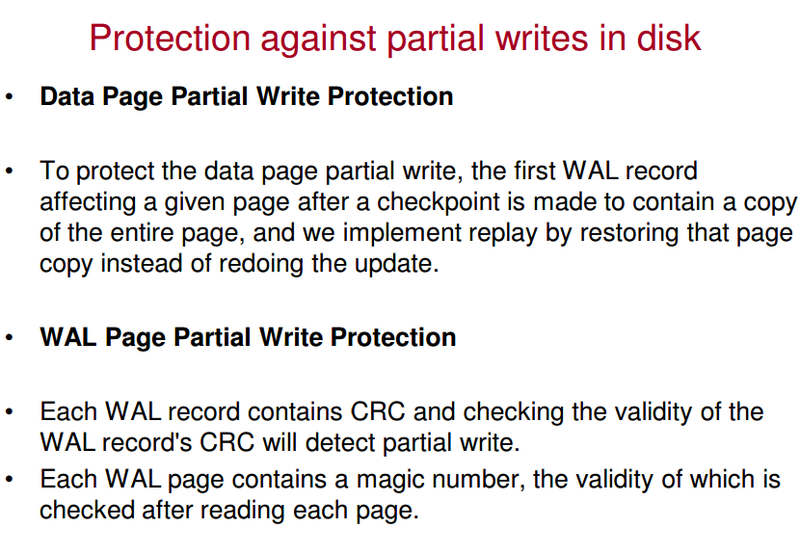 * Write and/or fsync the log at least as far as WriteRqst indicates. * may stop at any convenient boundary (such as a cache or logfile boundary). * single one would do. 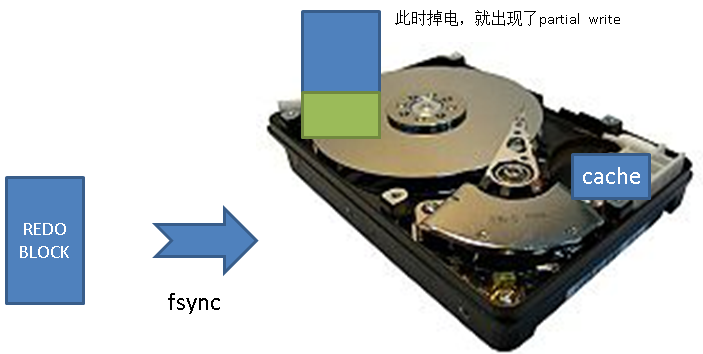 * fsync more than one file.